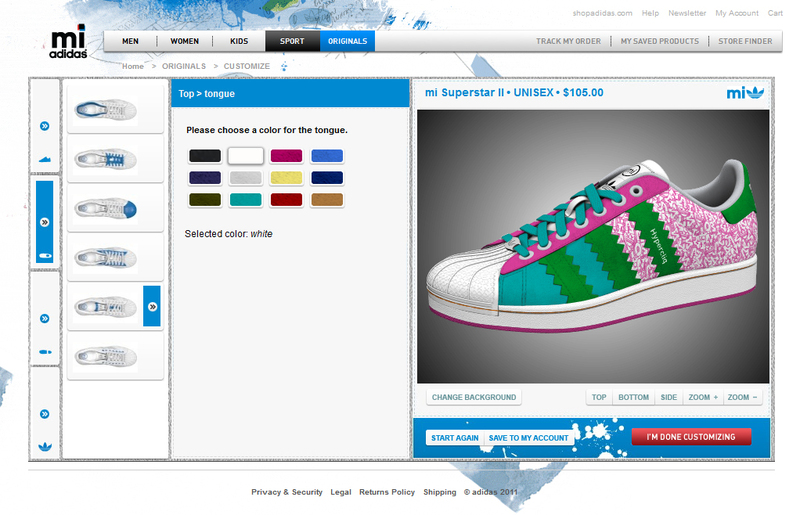 Adidas is offering customisable shoes through their miadidas website. 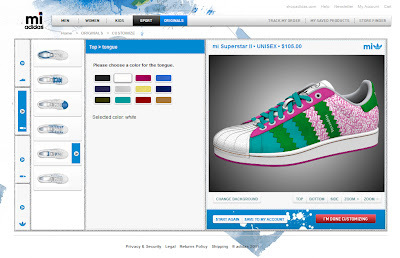 The level of customisation which the user is allowed is quite high, including different colors for various areas of the shoe, choice of materials and patterns as well as personilisation through embroidery. Hello everyone! We are very happy to start this blog, through which we would like to communicate latest developements in our areas of interest and expertise such as e-commerse, e-collaboration, knowledge management, mass customisation and digital marketing solutions. We appreciate any feedback, ideas and contributions. If you wish to contact us please e-mail us or visit our website.